As the city moves forward with its fight against the ruling that would put the breaks on the NYPD’s controversial stop-and-frisk practice, the Patrolman’s Benevolent Association (PBA) pledges to move forward with a lawsuit to throw out the ruling as the city changes mayors. As Mayor Michael Bloomberg enters the final days of his 12-year reign, Mayor-elect Bill de Blasio is starting his transition of taking the city into a more progressive direction. With that comes his promise to halt the city’s appeal against the Floyd v. City of New York ruling that would bring sweeping changes to stop-and-frisk. Also in the mix is U.S. District Court Judge Shira Scheindlin, who made the August ruling. Finally speaking out since the city announced it would file an appeal and removed her from the case, the judge said that press interviews she did portrayed her as one-sided. Scheindlin added that after reading each interview, no such comments were made. De Blasio plans to follow through on his word during the campaign to cut out any detours in the path to stopping stop-and-frisk, which gives Bloomberg a month-long window to try and keep the practice going. “We shouldn’t have to wait for reforms that both keep our communities safe and obey the Constitution. 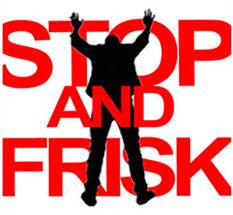 We have to end the overuse of stop-and-frisk, and any delay only means a continued and unnecessary rift between our police and the people they protect,” de Blasio said. While time is running out for Bloomberg to follow through with the appeal of the stop-and-frisk ruling, the four police unions, including the PBA, filed a motion last week with the U.S. Court of Appeals in the 2nd Circuit to intervene in the case. PBA President Patrick Lynch said that the potential withdrawal of the city’s challenge will leave police officers and the public without a means to challenge a decision that will have a significant impact on both police operations and public safety. The Center for Constitutional Rights (CCR) and co-counsel Beldock Levine & Hoffman and Covington & Burling asked the entire 2nd Circuit Court of Appeals to reconsider their decision by a three-judge 2nd Circuit panel to remove Scheindlin from the Floyd v. City of New York case and their federal class action challenge to the NYPD’s unconstitutional stop-and-frisk practices.